The process of European integration that resulted in the European Union (EU) is often perceived as a ‘peace project’. The European Coal and Steel Community (ECSC), for example, meant to regulate under one central authority the production of two resources that are essential for warfare. As Robert Schuman claimed, the ECSC would ‘make war not only unthinkable but materially impossible’. In 2012, the Nobel Committee awarded the Nobel Peace Prize to the EU, arguing that the integration of Central and Eastern Europe into the EU after the end of the Cold War contributed to peace on the continent, while the prospects for EU membership strengthened reconciliation in the Balkans. However, regarding European integration as only a ‘peace project’ would be too one dimensional. The process of European integration was initiated during the Cold War also to make Europe less vulnerable to the perceived soviet threat, while from a Russian perspective EU enlargement to the East is now often seen in terms of power politics. according to EU institutions the democratic values and rule of law in countries such as Hungary and Poland are under threat. The uncertainty about the future direction of the EU raises many questions about what the EU as a ‘peace project’ will look like in 2040 and what that will mean for Europe in that year: whether ΕU enlargement will continue or not? ; whether there will be further deepening of EU integration or not? ; whether more nationalist or populist tendencies will take over in Europe or not?, perhaps even whether the EU will still exist or not? ; and so on. And what will the answer to all those questions mean for Europe as a whole? The resulting scenarios report will be used to raise awareness and stimulate discussion in the Netherlands, and elsewhere in Europe, in the months prior to the elections for European Parliament, to be held in May 2019. 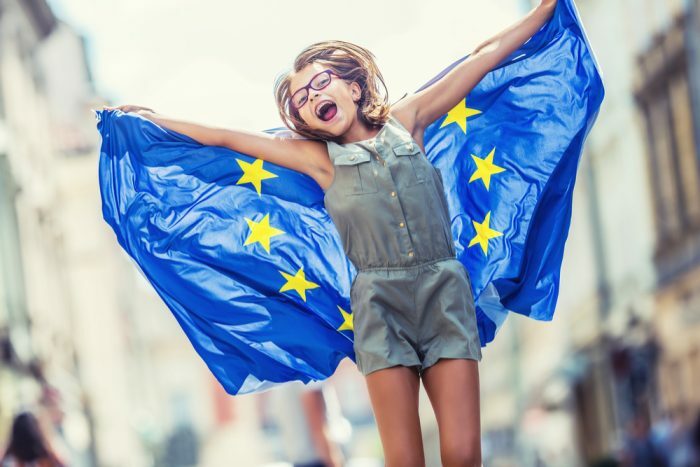 The project aims to target citizens and organisations in the Netherlands, as well as in other EU member states and Western Balkans and Ukraine who are interested in the future of Europe seen through a peace lens. The scenarios will be built on the basis of scenario workshops, interviews and literature and document research. In total three two-day scenario workshops will be organized with each approximately 20 to maximum 24 participants. The background of the participants in these meetings is varied, civil society, academic, government/EU institutions, but also geographically spread. The first meeting will be held November 22 and 23, 2018 in Utrecht (the Netherlands), and aims to develop the framework and skeletons of the scenarios. Participants in this meeting will mostly originate from EU member states. On the basis of the input of this first scenario workshop short outlines of the scenarios will be developed. Two follow-up workshops will be organized in December 2018 to further develop the scenarios focusing on the developments in the Western Balkans (countries on the way to EU membership) and in Ukraine (with participants from particularly the eastern neighbourhood). The scenarios report will be launched end of February, early March 2019 and presented and discussed at public events on the future of Europe as a ‘peace project’ throughout March 2019.